The luxurious 890 square feet Executive Suite includes two rooms: a bedroom with a king size bed and bathroom and a spacious living room. The Jacuzzi bath and a walk-in shower are the highlights of the generous bathroom. All Inn at Lenape Heights’ rooms feature a balcony and large windows for our guests to enjoy the breathtaking view over the Lenape golf course and the Armstrong County landscape. The daily rate includes a continental breakfast with your choice of homemade granola or toast with yogurt, seasonal fresh fruit and coffee. Our friendly staff is available for your assistance 24 hours a day. The Inn at Lenape Superior Rooms offer two queen beds and a generous 470 square feet to relax. 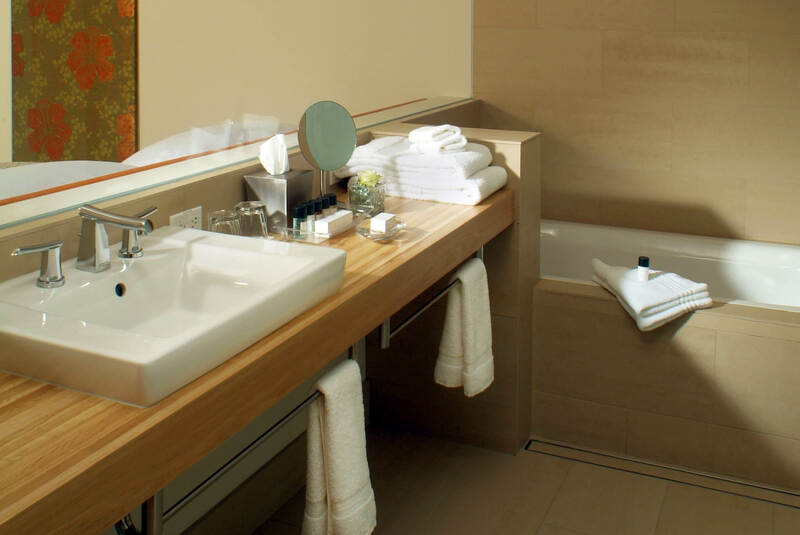 The guest rooms feature a luxurious bathroom with a walk-in shower. Selected furnishings in modern boutique style and Indian Summer colors create a unique atmosphere. Enjoy the spectacular view over the surrounding Armstrong County countryside and the Lenape Heights golf course from the spacious balcony or the large windows. 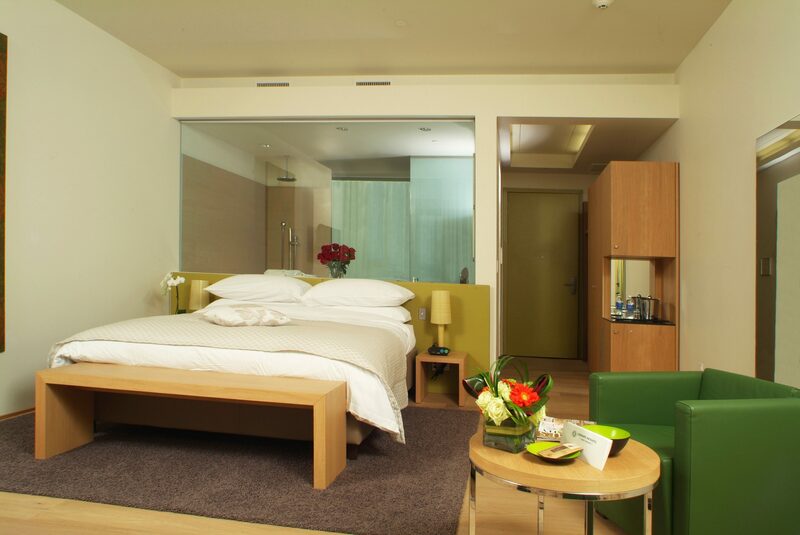 An extra bed can be set up for additional guests. 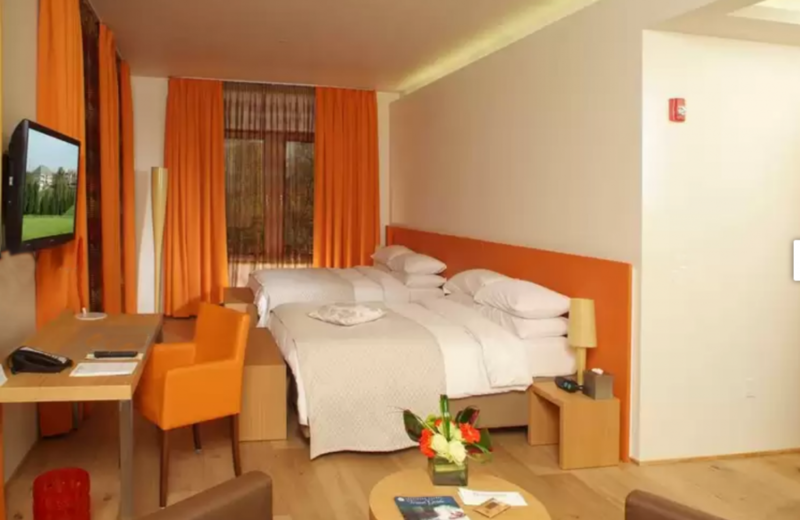 Rates are per room per night, based on two people sharing one room. 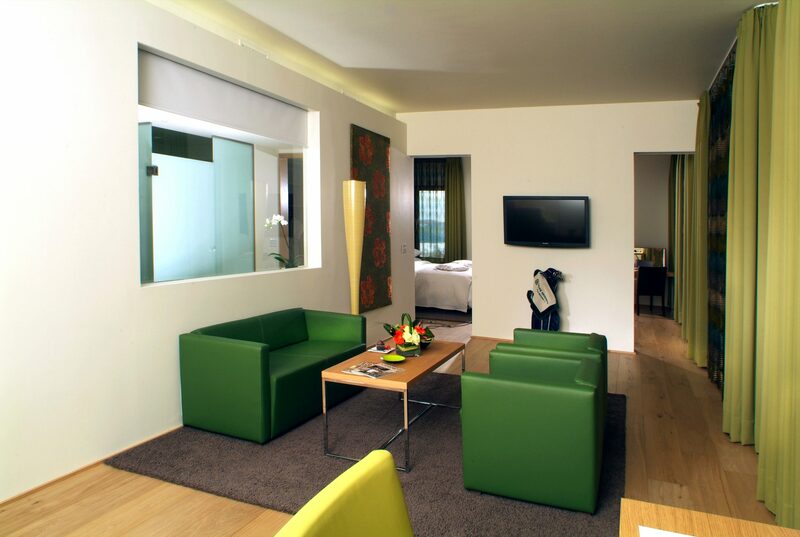 The 410 square feet Deluxe Rooms with a king bed are luxuriously furnished in modern boutique style. 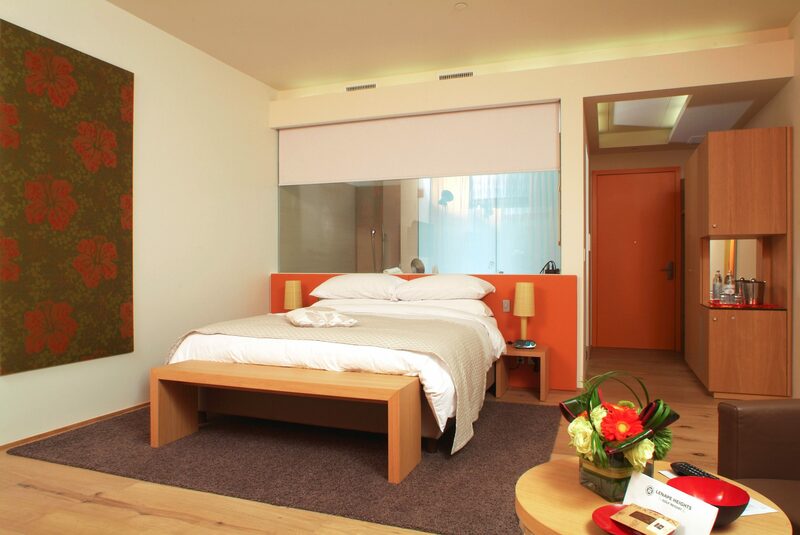 Kept in Indian Summer colors, the rooms feature a spacious bathroom with a bathtub and rainfall / walk-in shower. Large windows offer a spectacular view of the surrounding countryside and the golf course. The right choice for every occasion. Each room includes a continental breakfast.